Used to add freshness and crispness to the first impression of a blend. Odor Description: Citrus, Grapefruit, Floral. Sweet neroli orange blossom. used in orange blossom blends, care must be taken as this component can be irritating when over-used. 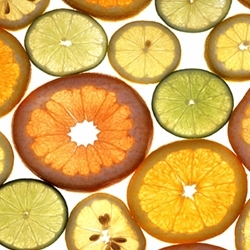 A very fresh, bright white grapefruit that is longer lasting than the natural essential oil.